I F COLM WILKINSON had the opportunity, he would tell himself ' not to take things so seriously', as his career burgeoned. He would counsel the younger man to 'relax, have more fun', admitting that his work, to some extent, has been the product of ' manic obsession'. While he might spend a few more hours with family and friends and work a little less if he had his time over, it's his famous focus and dedication that have made Wilkinson the undisputed leading man of leading men. Vices like coffee, alcohol, cigarette, drugs of any kind, and even dairy products, are all contraband in the life of a star of musical theatre. He makes a habit of speaking softly, in measured tones. It shows - and then some. Colm's incredible and distinctive voice has been well looked after. Voted one of the five greatest singers ever in Rolling Stone Magazine, his performances are as mesmerising as they were decades ago. He retains that vitality, vocal dexterity and strength; and an obvious affection for song and storytelling that he has always embraced. Music was part of the very fabric of his Dublin childhood. Born in Drimnagh, in the downstairs room of his parents' house, Colm was one of 10 children. He recalls a home that resonated with singing, poetry, and musical instruments of one kind or another. Both of his parents were skilled musicians, and his apprenticeship began back then, in a house where the television was rarely turned on. 'In a way I was born in an acting and music school,' he said, on the training he got in his formative years. His mother, a native of Crossmolina in County Mayo, was ' always singing' and involved in amateur dramatics, while the banjo and mandolin formed part of his father's extensive repertoire. At just 16 years of age, he went to the US on a tour, and soon after that quit the family business to become a full-time professional musician. Over 40 years ago, Colm married Deirdre, whom he describes as ' phenomenal woman,' his 'solid rock' and a source of constant and essential support over the past four decades. They started their life as a married couple in Bray in 1970, and went on to have four children – Aaron, Judith, Sarah, and Simon. They still have their Wicklow home, yet now live mainly in Canada. Aaron followed his dad into the music business to become a singer-songwriter, while the others all chose creative paths, going into careers in the arts and graphic design respectively. As well as delivering the definitive performances in the world's most famous musicals – Jean Valjean in Les Misèrables, Phantom in The Phantom of the Opera, seminal roles in Evita and Dr. Jeckyll and Mr. Hyde - the Dubliner has turned his hand to television drama in recent years. He played Lord Thomas Darcy in Morgan O'Sullivan's The Tudors, a role which had the gift of wonderful dialogue. The actor in Colm took on the character with his characteristic intensity. Lord Darcy made a chilling return as a ghost after being beheaded for leading a rebellion against Henry VIII. 'I am among the dead. I have joined the ghosts of all your victims, your Grace,' was one unforgettable line expertly delivered during his appearance as spectre in the drama. The part, of course, brought Wilkinson back to Ardmore Studios, and Bray, his other home. He urges budding actors and singers today to get professional training, if they can, but exercise caution. He believes that anyone who has been singing themselves, with some success, should have what it takes to make a valuable teacher. He had served his time in rock 'n' roll bands, and acquired some skill on the road.
' To be in the entertainment business you need to have passion – an absolute love for what you do,' he said, describing the harrowing audition process for an out-of-work actor or singer. 'I've been lucky, but 80 per cent of us are unemployed at any give time. Without the passion, that cannot be sustained. The next requirement is that you look after your instrument. 'It's a muscle; it needs to be maintained and trained,' explained Colm, returning to what he calls his ' hobby-horse'. 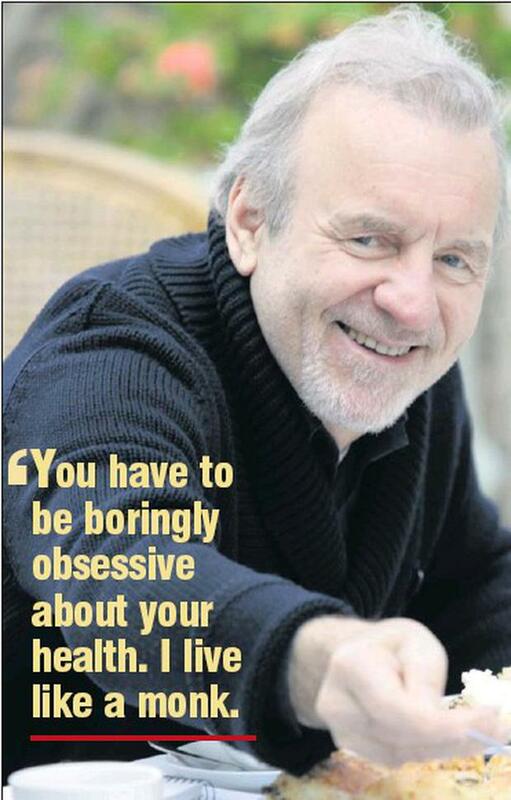 It is, in fact 'a pain in the arse', he reckons, but those lifestyle choices pave the road to longevity. He brought his family everywhere on tour with him. It was something that he insisted on, refusing to inflict separation on any of them. While he wonders sometimes if a more traditional upbringing would have been better, they got to see a fair amount of the world.